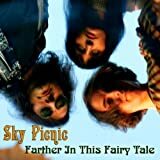 Sky Picnic is a new and interesting band from the United States whose music has progressive and psychedelic orientations. Now with the internet facility, one can listen to their music in a digital format, and for free, at least this EP. Though I have not listened to their full-length album yet, I can say that with this EP and a single (which I also downloaded) the band has caught my attention, due to their soft kind of psychedelic music. This EP is entitled "The Unknown Regions" and consists of only four songs, which make a total time of 20 minutes. 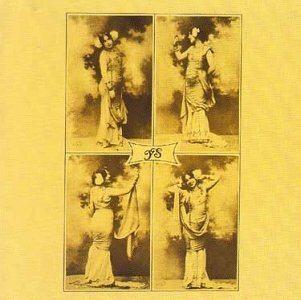 It opens with "The Unknown Regions", a song with mellow vocals and a warm and dreamy atmosphere created by keyboards. There are moments where guitars and drums put more intensity to the music, but the softness always returns. The bass lines are cool, and the vocals perfectly work here. Though I am not comparing, I cannot help but mentioning that here I can find some Pink Floyd (early) reminiscences. "Siren Song" is the shortest track here, again with dreamy atmospheres and even a relaxing tone. 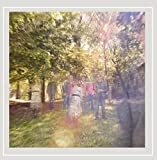 Here we can listen to a mellotron, which adds a really warm and charming sound; and that, complemented by great drums, nice guitars and wonderful vocals (I like the vocals a lot, by the way), create an splendid short piece. "Teach Your Teachers" starts with guitars and a few seconds later the other instruments including the voices join. The musical style is the same as in the previous tracks, so they have implemented their own sound. After three minutes there is an instrumental part with a soft guitar solo, but what I like is that the musicians are all equal, I mean, none of the instruments shows off more than they should. Cool track! And finally the longest song with seven minutes length, "For Miss Central London". It starts with cool bass lines while a spacey atmosphere is being created by keyboards and the other instruments. After a minute vocals join but without lyrics and then the song begins to progress and add different elements in its background. The lyrics appear one minute later, and complement the trippy music. The structure is repeated until the end of the song. This is a nice EP which may be attractive for people who like soft psych-rock, spacey and slow, mid-tempo music. It is for free, so download it if you wish. Now I am eager to listen to their full-length album, I am sure I will be pleased. My final grade will be three stars. 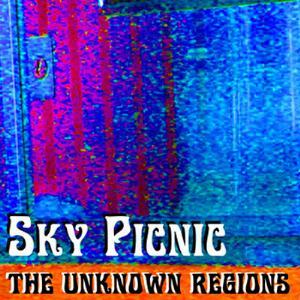 Post a review of SKY PICNIC "The Unknown Regions"